I’ve been neglecting this space because, well, grad school. 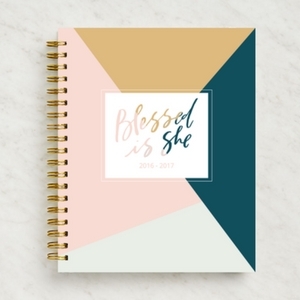 One, I posted about the Blessed is She Liturgical Planner a while ago, and it sold out VERY shortly thereafter. But there is now one that begins in January. Check it out, I love mine and rely on it daily. If you’re looking for my writing right now, I’m mostly sharing over on Medium. You can find me HERE. AND I’m over at Blessed Is She with a devotional today. Keeping it light with thoughts on voting in the Year of Mercy. No big. I just read your post on Blessed Is She, and I wanted to send a quick message…wasn’t sure how to do that other than here. I just thought I’d let you know that I was reading that post thinking, “I could have written this 5 years ago…is this me? !” I was that 27 year old wondering what God was doing behind the scenes. I had hope in Him, I didn’t want to put limits on Him, and I believed He had a future spouse for me, but man was it hard waiting! I’m 32, and I met my now husband when I was 29. We dated 7 1/2 months before getting engaged, were engaged for 8 1/2 months, were pregnant with our first born 4 months in to marriage, and I am due with my second Oct 30th while raising my 14 month old! It happened fast!!! I wanted to tell you to keep hoping, because when God is ready, He gets to work. one of my best friends got married when we were 19…I was so envious then. Now I am so thankful I was able to live so much and do so much before God called me to sacrifice all those things for my family! Live it up in this time doing what only single people can, because you will find great joy in giving it all up when God’s timing falls in to place! Anyway… Just a word from a stranger, because I know exactly how you feel. That void for you will be fulfilled in perfect time! Blessings to you as you continue to trust and pray!